Well, this may surprise you but it is a fact. Now, there is a chance to learn English Language for free. Yes, the learners will not have to pay anything to learn this language. It is an opportunity for students who would like to make use of their holidays in a right way. This applicants will have to just reach English Language Center at Santosh Nagar, Hyderabad and let the personnel know of your interest in the language. English is a language which is spoken by people across the globe. It is no longer limited to just English countries. It is widely used now for various purposes. It has now become a language of the business world. It has become an indispensable tool to continue studies in a foreign country where English is an official Augean or where English is given much preference. 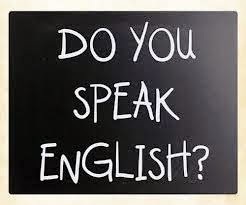 If you are the one who doesn't speak good English then it is requisite that you should work on your language. There is a need to join an institution where you can learn this language effectively. Often, Language Centers charge more for the training. The training may last for 2-3 weeks. But if you are spending on an English course then you must be expecting more of it? Enroll for an English Learning Course at English Language Center at Santosh Nagar in Hyderabad where you can learn for FREE. Yes, you may not have to pay anything. Just fill out the application form and take a simple sample test in English. The test is mandatory. A batch will be alloted depending upon the performance of the students in the test. Batches are categorized as A1, A2, A3, B1, B2, B3 and C1, C2 and C3. This is really a golden opportunity for one and all. 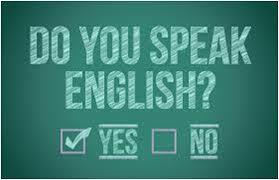 Even those who do not know even letters in English Language can fill in the application form. Batches: From Monday to Friday. Timing: From Morning 6 to Evening 10. Crida Road, Santosh Nagar, Hyderabad.